Discover our whole-school textbook programme for maths with this core set of linked resources – a complete learning journey from Year 1 to Year 6, fully matched to the National Curriculum. This maths toolkit contains a mix of pupil textbooks, teacher planning guides and ready-to-teach lessons, combined in a structured, engaging maths programme that teachers can trust. Everything you need for everyday teaching and longer-term curriculum planning, in quality books which build a secure understanding of key maths concepts. 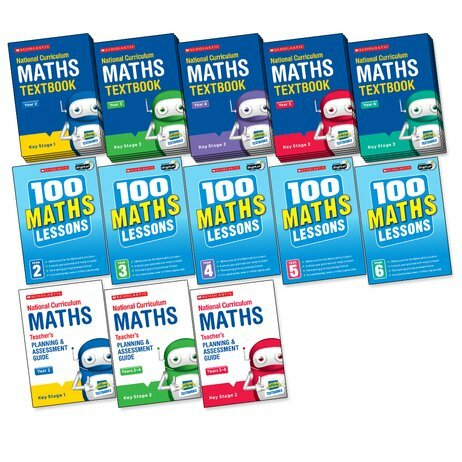 This pack contains: 15 copies of each pupil textbook for Years 2-6; one copy of each 100 Lessons book for Years 2-6; and three Planning and Assessment Guides.